The clock has started ticking. In less than four weeks, Singapore will elect its eighth president. Nomination Day will fall on Sept 13. Polling Day will be Sept 23. The election will be reserved for Malay candidates, since five terms have passed without a Malay president. Thus, by Sept 23, Singapore would have elected its first Malay president in more than 46 years. The previous onewas Mr Yusof Ishak, the Republic's inaugural head of state. He died in 1970 before the end of his third term. Three uncertainties confront Singaporeans at this juncture. First, will there be a contest? Supporters of former Speaker of Parliament Halimah Yacob, 63, will probably sense the mantle of history moving towards their candidate. She is hitherto the only presidential hopeful who meets the criteria for automatic qualification. She qualifies on her experience as Speaker, a post she held from 2013 to Aug 7 this year, when she stepped down to run for the presidency. The others who have applied to run are Mr Farid Khan, 61, chairman of a marine services firm, and Mr Salleh Marican, 67, chief executive of a listed property company. To qualify automatically, private sector candidates must have helmed a company with an average shareholder equity of $500 million in the three most recent years. Both Mr Farid and Mr Salleh fall short. But it is too early for Madam Halimah's team to be measuring the drapes for the Istana office. There may be others who qualify but have yet to declare their interest. All who want to run have to apply for certificates by next Monday. Also, the Presidential Elections Committee has the discretion to qualify candidates via a deliberative track, if their experiences are comparable to the automatic criteria. In 2011, the committee surprised many by clearing Mr Tan Jee Say. He too did not meet the explicit criteria, but it said his firm was "an organisation of equivalent complexity". Still, Madam Halimah is undoubtedly the current front runner. She has served close to 40 years in public service and the labour movement. She was a union lawyer, an MP, deputy secretary-general of the National Trades Union Congress, minister of state in two ministries, and the first woman to become Speaker of Parliament. People also remember her fights on behalf of the underdog - whether vulnerable workers or pre-school children from low-income families. She is the clear favourite to win at the moment, if there is a contest. The second uncertainty: If there is a contest, will it be dignified? Singapore has seen only two contested presidential elections: in 1993 and 2011. The 1993 one, which elected President Ong Teng Cheong, is generally remembered as a tepid affair. But 2011 saw four candidates surnamed Tan - dubbed the "Tan Quartet" - engaged in a vigorous jostle for the office. Observers said there was a politicisation of the presidency, with some candidates at times making promises on issues that clearly fell outside the constitutionally prescribed powers of the president. To ensure this would not happen again, Parliament amended the laws to require that each candidate sign a statutory declaration that "he understands the president's role under the Constitution". Minister in the Prime Minister's Office Chan Chun Sing, who introduced the Bill in Parliament, stressed that making a false declaration "is an offence". A campaign this year is thus likely to be calmer and more correct. But if the race is close, candidates may yet be tempted to take chances. The third and final uncertainty: Will Singaporeans take to the concept of a reserved election? The issue has been discussed for nearly two years, since Prime Minister Lee Hsien Loong asked a Constitutional Commission to look into the need for minorities to be elected to the highest office from time to time, to ensure it reflects Singapore's multiracial society. This led to the "five-term hiatus" rule, paving the way for this election to be reserved for Malay candidates. Some have expressed concern that the rule may erode meritocracy, since it seems to choose a president on factors other than merit. The Government's response can be thus summarised: On principle, Singaporeans should decide on merit alone. But the evidence shows that many do consider race when voting. Meritorious minority candidates are hence less easily elected. To ignore this reality could cause more damage to the system, because Singapore would be forgoing multiracial representation, which is as important a value as meritocracy. The "five-term hiatus" rule strikes a good balance, because it provides for a future where minority candidates might be elected in open elections. The rule would then fall out of use naturally, an outcome that all Singaporeans would hope for. Dissenters may not come round to the Government's view via just theoretical argument. 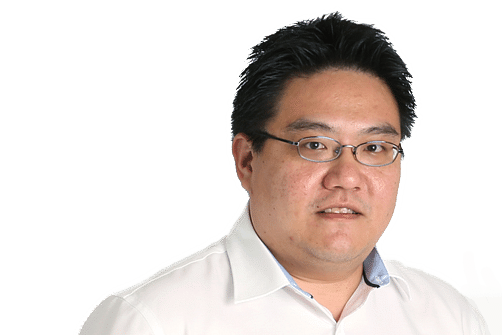 The issue might be settled only after Singaporeans live through a presidential term following a reserved election, and decide from the experience if the country is better off for it. This would place a heavy burden on the next president. The person has to show Singaporeans that he or she is every bit as capable of performing the roles and duties of president as one produced by an open election.